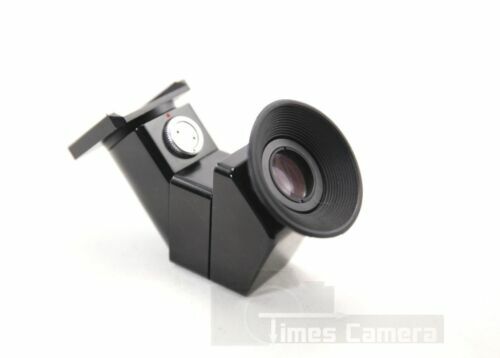 Bronica Prism View-Finder-E for ETR series camera brand new in box! 29 PIECE BRONICA GS-1 MEDIUM FORMAT FILM CAMERA SYSTEM w/CASE - READ LISTING! ZENZA BRONICA 6X6 SLR Med. Format Camera W/Nikkor 75mm F2.8 Lens, and MORE! ZENZA BRONICA S2 BODY NIKKKOR- PC 75mm f/2.8 LENS SET! !